Not to be confused with the concept of “resurrection” this secular bracket holds no religious affiliation and preaches the concept of renewal through re-directional maturation and re-birth. Each candidate team has established itself scientifically as having the potential for a lead role in reparation of kidney injury. You don’t have to be a regular subscriber to Nature or have an RO-1 grant to appreciate the remarkable replicating metamorphosis skills of each member of this bracket. Which cell line will transition their way to the championship of this group? Dr Shankland is the Head of the Division of Nephrology at the University of Washington in Seattle, WA. He is actively involved clinically, and prides himself on being a teacher to housestaff and students. His research interests are in glomerular disease, where his laboratory focuses on the mechanisms and potential therapeutic targets of proteinuria and glomerular scarring. His current funding includes the study of podocyte and parietal epithelial cell apoptosis, proliferation and regeneration. Meet the competitors for the Kidney Regeneration Bracket! The parietal epithelial cell (PEC) is a unique cell type of the glomerulus. PECs live in a monolayer adherent to Bowman’s capsule lining the urinary space of the glomerulus. These peculiar cells are finally starting to make a wave in world of kidney regeneration. An upstart from the formidable glomerular conference which includes the old-school mesangial cell and the international powerhouse “team podocyte”. PECs arise from the same ancestral cell as the better-known and media-hogging “team podocyte”. This is where the story gets interesting. Although PECs and podocytes arise from a common ancestor, important differences exist. Podocytes are terminally differentiated and therefore have a limited capacity to proliferate, whereas PECs proliferate even during physiological conditions, making PECs agile and evasive. Several groups studying these cells have demonstrated that PECs can proliferate, and then migrate and differentiate into podocytes in certain conditions. Moreover, evidence is beginning to accrue showing that PECs participate in a variety of glomerular diseases such as FSGS and RPGN. However, the viewpoint that PECs can give rise to podocytes is not universally held, and several investigators studying mice have challenged this idea. Finally, evidence in human disease suggests that an excess of proliferation by a subpopulation of PECs may lead to collapsing FSGS, characterized by pseudo-crescents. As new research emerges about the role of PECs in physiology and disease, it will become more clear how this unique cell type participates and interacts with other glomerular cells. The PEC is a team to watch during NephMadness 2014. They have potential to be a surprise team, but many questions about the true nature, and the (regenerative) potential of the PEC persists. Renin-lineage cells play an important role in the normal development of the kidney. For instance, renin-lineage cells are integral to proper development of the renal vasculature and furthermore, renin is expressed throughout the renal vasculature during embryogenesis. However, renin-producing cells regress in adulthood and are only found in specialized cells of the juxtaglomerular apparatus in the kidney. Interestingly, during states of physiological stress such has low blood pressure or salt deprivation, juxtaglomerular recruitment ensues whereby renin-producing cells begin to line the arterial tree leading to the glomerulus. This highlights the amazing capacity of this cell-type to quickly expand and retract either by proliferation, differentiation of other cell types such as smooth muscle or recruitment and differentiation of a stem cell progenitor. Nevertheless, the stage is set for the renin-lineage cell to serve as a potential progenitor to other cells of the kidney during injury. Pippin et al used the technique of cell identity fate mapping (by permanently labeling cells in vivo with GFP or tomato (red) using Cre/LoxP technology) to track the ultimate fate of renin lineage cells during experimentally induced glomerulonephritis in 3 different mouse models. This demonstrated that a small subset of adult PECs and podocytes are indeed of renin lineage after glomerular injury and may serve as progenitors for these cell populations with a limited capacity for regeneration. However, many questions remain to be answered about this process. The results are intriguing and open new lines of investigation on potential strategies to enhance podocyte repopulation after injury. This is important as podocyte loss has emerged as a critical pathophysiological determinant of many glomerular diseases including diabetes mellitus and FSGS. This is the newest member of the bracket and a true diaper dandy but the renin-lineage team could make a deep run with their quickness, athleticism, and ability to differentiate between offense and defense as needed. The study of pericytes has also emerged as a new player in the kidney regeneration/fibrosis paradigm. Pericytes, once the forgotten cell type of the microvascular, are now surfacing as an important mediator of fibrosis in the damaged kidney. This is truly the cinderella of NephMadness and a team to watch out for. T0 review our anatomy, four cell types make up the microvasculature; the smooth muscle cell, endothelial cell, perivascular fibroblast cell and pericyte cell. Pericytes are cells with long tentacle-like processes adjacent to and in close proximity to endothelial cells. Pericytes are located at the interstitial side of microvascular embedded in the capillary basement membrane. Indeed, specialized pericytes such as the podocyte and mesangial cell have over the past 20 years garnered much attention by the nephrology community. The pericyte, in the past, was characterized as playing a fundamental role in the regulation of blood vessel development and stability. While vessel integrity is big role of the pericyte, a novel function in mediating fibrosis has emerged in recent years. Lin et al demonstrated that pericytes can transform into the collagen-producing myofibroblast. This group utilized a reporter mouse that marks any cell type producing collagen1 with green fluorescent protein (GFP). They found that the majority of myofibroblasts that accumulate in the parenchyma of the obstructed mouse kidney (a model of chronic kidney disease) are of pericyte origin. Finally, this group used the technique of cell identity fate mapping (by permanently labeling cells in vivo with GFP using Cre/LoxP technology) to track the ultimate fate of several cell types in order to establish the origin of myofibroblasts. Again this group showed that myofibroblasts were of pericyte origin. Investigators have also pointed to pericytes in other organs as mediators of fibrosis. For example the liver stellate cell (hepatic sinusoidal pericyte) has been shown to be the progenitor of myofibroblasts in the liver in mouse models of alcoholic and toxic liver injury. However, the pericyte-centric myofibroblast viewpoint is controversial as the established viewpoint of epithelial to mesenchymal transition (EMT) continues to garner support and a considerable amount of evidence exists. The pericyte vs. EMT should be an interesting battle. The process of epithelial to mesenchymal transition (EMT) was first described as an early embryonic event whereby primitive epithelia migrate as mesenchymal cells to form early structures. It is clear that EMT is an important mechanism for complex mammalian organ development. In the 1980s Greenburg and Hay showed that a variety of adult epithelial cells including kidney cells had the capacity to display a fibroblast phenotype upon exposure to collagen gels in vitro. A robust body of literature exists (briefly reviewed in this JASN article) in regards to the contribution of EMT to fibrosis. The theory is that cells (in this case renal tubule epithelial cells) when exposed to a toxic stressor or inflammatory mediator undergo a transition to a more primitive phenotype potentially to avoid imminent death. The fundamental principle governing EMT is that cells, which are normally polarized and interact with its native basement membrane via its basolateral surface, undergoes multiple biochemical changes enabling the cell to assume a mesenchymal cell phenotype which includes the capacity for migration, degradation of its native basement membrane and the potential to assume a collagen producing or fibrotic phenotype. For example, Neilson and colleagues have demonstrated through epithelial cell marker immunostaining coupled with fibroblast marker staining and EMT transcriptional program activation evidence for EMT in the kidney. Furthermore, Neilson and others have demonstrated by lineage tracing that the bulk of fibroblasts that accumulate in the kidney after ureteral obstruction in the mouse (an experimental model of CKD) are of renal tubular cell origin. An abundant literature exists describing the existence of EMT in the kidney as a mechanism for fibrosis. Understanding the principles governing this important process that is common to every form of kidney disease will be an important step to halting the progression of kidney disease. EMT is the reigning favorite in the regeneration bracket with the most experienced body of literature. They will be a team to watch closely. How renal tubules repair after an acute insult can be quite impressive — from no kidney function for several weeks to normal kidney function within a month. How are the individual cells of the nephron replaced? One viewpoint is that fully differentiated tubular epithelial cells can self-duplicate by a process of dedifferentiation, migration, proliferation and redifferentiation to replace tubule cell death in response to injury. To garner evidence into whether or not this mechanism is important Kusaba et al performed a lineage-tracing study. They labeled terminally differentiated proximal tubular epithelial cells in vivo using Cre/LoxP technology and subjected these mice to ischemia reperfusion injury (a mouse model of AKI). They showed that a majority of cellular proliferation of the injured tubules was from reduplication of terminally differentiated tubular cells and not from expansion of a progenitor cell population. These are intriguing results, but many questions arise. First, do human tubule cells have the same capacity for self-renewal like the mouse kidney? Second, a better understanding of the molecular mechanisms governing self-renewal are needed before broader translational efforts to exploit these processes can take place. Lastly, it will be important to distinguish the properties of self-renewal from those of oncogenic transformation as this could be an unforeseen side-effect of exploiting this pathway. Self-duplication will be a formidable foe in the regeneration bracket. They have strength in numbers and have always traveled well. Insults to the kidney can take a variety of forms. From toxic drug exposure, to ischemic events. Kidney recovery from such an event can be profound or in some cases devastating. What factors are related to repair of the injured kidney? One dogma holds that stem cells with true pluripotent capacity exist in the adult kidney ready for deployment if an injurious situation arises. Evidence for this comes from Maeshima et al who reported in 2003 the identification of renal progenitor-like tubular cells in the proximal tubule, thick ascending limb and collecting duct using a combination of cell surface markers coupled with BrdU labeling to detect “slow cycling cells.” This same group reported that the so-called slow cycling cells have the ability to to create tubule-like structures in vitro and integrate into the nephron structure in vivo. 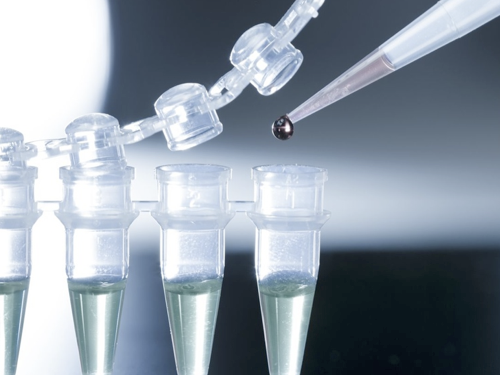 Several other investigators have also attempted to pinpoint the renal tubular stem cells. Recently, Angelotti et al reported that a CD133+, CD24+, VCAM-1-, podocalyxin- cell population existed in proximity to the renal proximal tubule and distal convoluted tubule that are capable of tubule differentiation. These are just a few of the studies attempting to identify a resident renal stem cell population capable of tubular regeneration. However, these studies are not without controversy as a majority rely upon immunostaining with antibodies and lineage-tracing studies have not yet been performed as have been done many of the other teams in the regeneration bracket. Nonetheless, the potential existence of renal resident stem cells to regenerate injured tubule segments is quite intriguing. They could be a huge hurdle for the first and second rounds of NephMadness. Surviving past the second round will be the true test. The holy grail in the kidney world is the creation of a completely vascularized bioartificial kidney. This would have a huge impact in offering a potential therapy to patients with kidney failure awaiting a suitable donor. In the US alone ~100,000 individuals are on the transplant list and ~400,000 are on some form of dialysis. How far are we from the creation of a bioartificial kidney? Let’s look at the literature. The idea for of an artificial kidney has been around since Willem Kolff in the early 1940s demonstrated, by using a rotating-drum dialyzer, that the removal of uremic toxins from patients with kidney failure is life-saving. Since this time numerous improvements have been made in renal replacement therapy. From the Scribner shunt, to peritoneal dialysis, to advances in kidney transplantation to name a few. However, the ultimate creation of a completely vascularized artificial kidney has been elusive. A few examples utilizing animal models have emerged over the last few years. A report in Nature Medicine sent a few shock waves in 2013. The main problem with a bioengineered kidney is the complex 3-dimensional nature of the kidney. Song et al used a technique whereby rat kidneys are decellularized with detergent perfusion to create whole-organ “scaffolds” with intact and perfusable vascular, glomerular and tubular compartments. They next repopulated the scaffold via the renal artery with rat endothelial/epithelial cells plus they added human umbilical venous endothelial cells (HUVECs). Finally they infused at neonatal kidney cells through the ureter. The system was perfused in vitro for a few weeks then implanted into a rat. The results were astonishing. They demonstrated as early as day 4 of the scaffold culture, histological evidence of epithelial, endothelial, vascular and glomerular repopulation were seen. This was verified by a combination of immunostaining, histology and electron microscopy. Morphometric analysis showed that ~70% of glomeruli were repopulated. Finally, this group demonstrated both in vitro and in vivo that the bioengineered kidneys were able to make urine. However, it is unclear whether or not the bioengineered kidney would be able to sustain the life of the rat if it was the sole provider of kidney excretory and endocrine function for an extended period of time. Other groups, such as that of the Kidney Week 2013 plenary speaker Anthony Atala, are already making progress decellularizing pig kidneys as a potential scaffold for a human bioengineered kidney. Another, exciting advancement in the creation of the bioartificial kidney was recently reported in Cell Stem Cell by Taguchi et al. This group derived metanephric mesenchyme from pluripotent stem cells and were able to reconstitute glomerular, proximal and distal tubule structures in vitro. Furthermore, these reconstituted nephrons were implanted beneath the renal capsule of mice and new vascularization commenced. Tom Oates discusses this further on RFN. This is a formidable foe and an odds-on favorite to win the kidney regeneration bracket. However, this part of the NephMadness bracket is filled with a variety of teams that could give the bioartificial kidney a run for its money. Hypertrophy comes in as the perennial underdog. They always seem to make the big dance but never go very far. A true Gonzaga of the tournament. Other topics in the regeneration literature seems to always predominate the media. It might be because the processes that govern cellular hypertrophy are not clear. Let’s look a little closer at the phenomenon of hypertrophy that many cell types are capable of using in states of physiological stress. Hypertrophy is the process whereby an individual cell gets big, due to an increase in its protein content, without an increase in its DNA content. When a cell engages the cell cycle, it ordinarily starts to produce increase protein content in anticipation of it dividing into two daughter cells. Therefore, when they arrest at the G1/S interphase prior to DNA synthesis, cells are larger than normal (hypertrophy) because the ratio of protein to DNA is increased. This occurs in part due to an increase in cell-cycle inhibitors such as cyclin kinase inhibitors. Is bigger always better? How will they fare in the fast-paced regeneration bracket? Let’s look at this more closely. Mesangial cell hypertrophy commonly occurs following a reduction in kidney mass following such as uninephrectomy. This type of hypertrophy is compensatory and physiologic. In contrast, mesangial cell hypertrophy which occurs in diabetes is considered pathologic. Another example is that of podocyte depletion, which occurs in a variety of glomerular diseases. Podocyte depletion leads to areas of bare or denuded glomerular basement membrane. This ultimately causes segmental glomerular scarring. Wiggins et al showed that because podocytes cannot proliferate to replace those cells who are lost, their neighbor podocyte will undergo hypertrophy to cover the bare area of glomerular basement membrane. This is called compensatory hypertrophy. However, with time, these large cells produce an excess of deleterious factors such as cytokines, and augment rather than reduce disease. This hypertrophy is also maladaptive and pathologic. 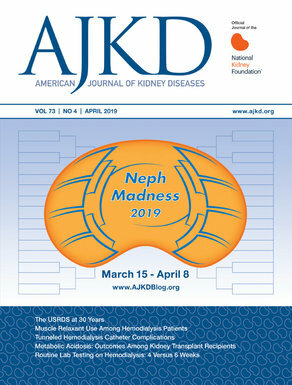 It may well be that this “hypertrophic” team will do well early in the tournament as it does in disease states, but how will they fare later in NephMadness? We will have to wait and see.